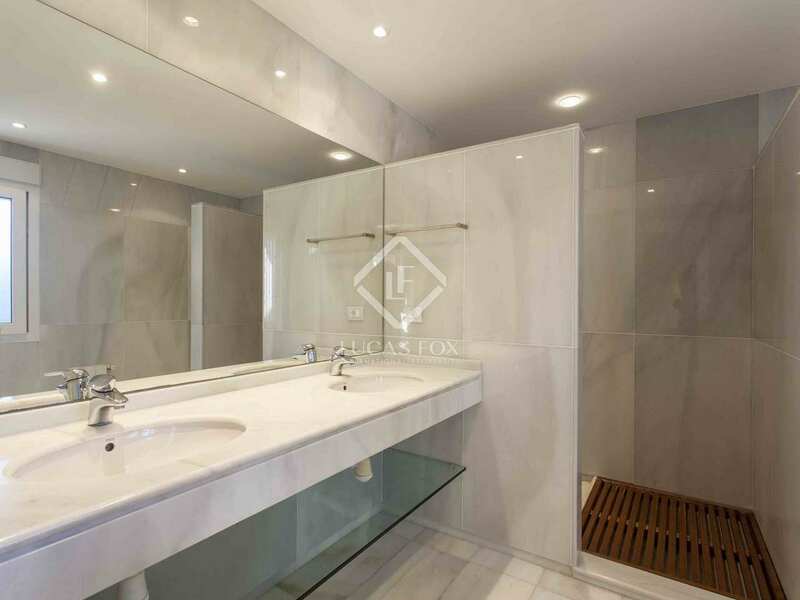 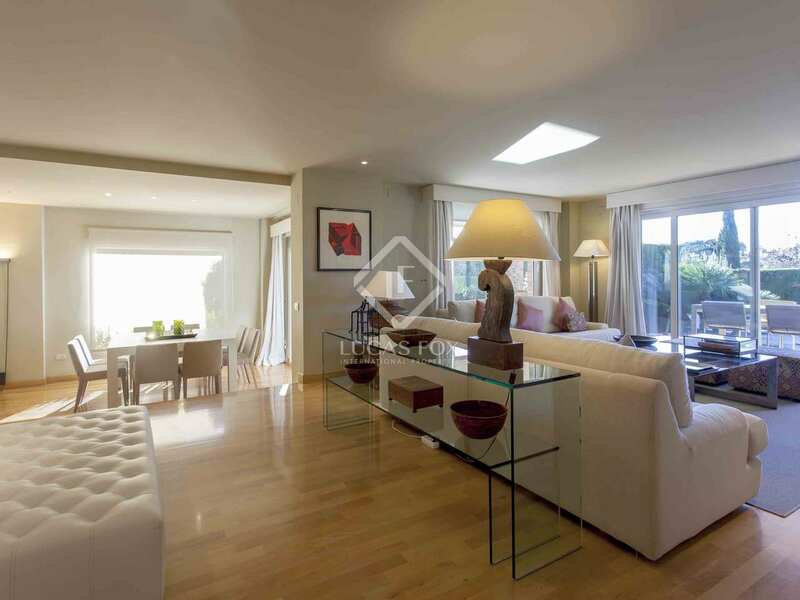 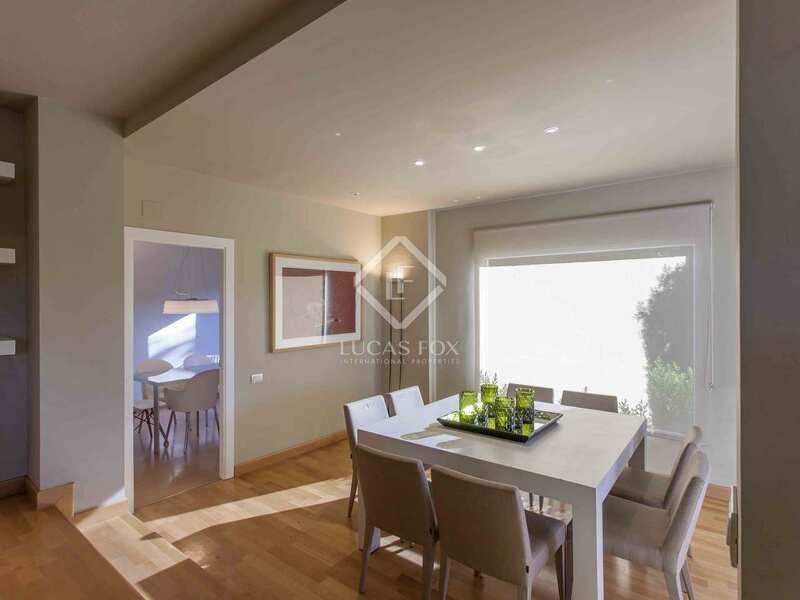 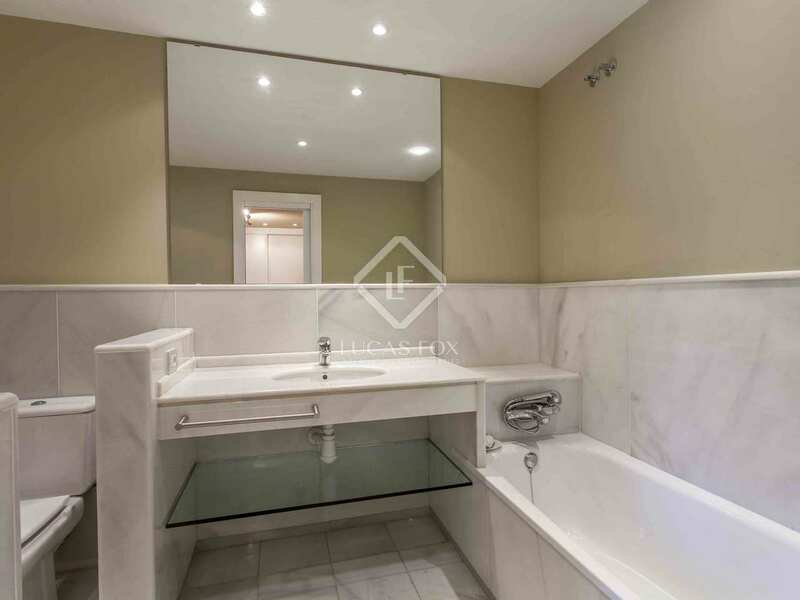 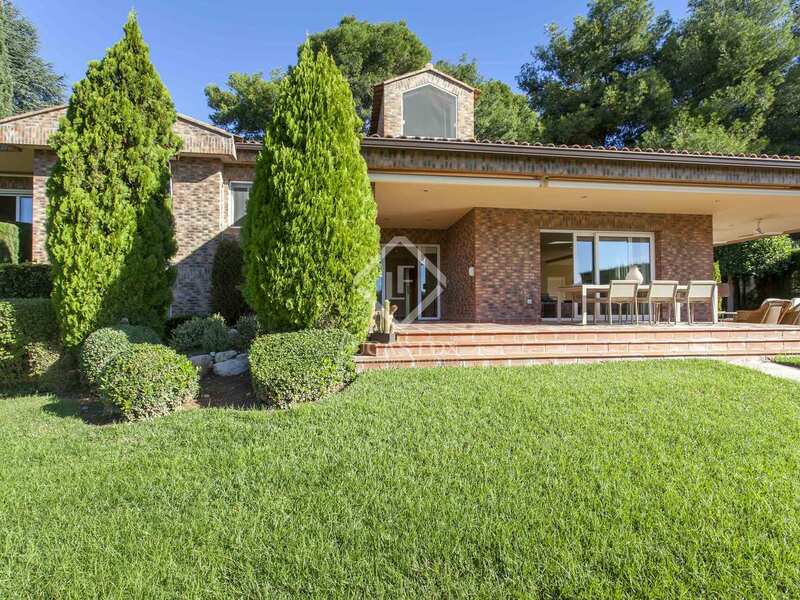 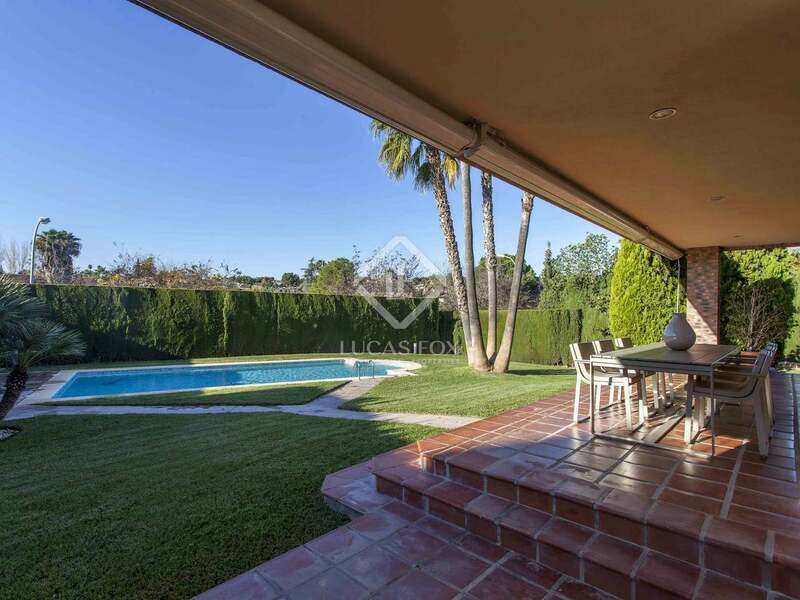 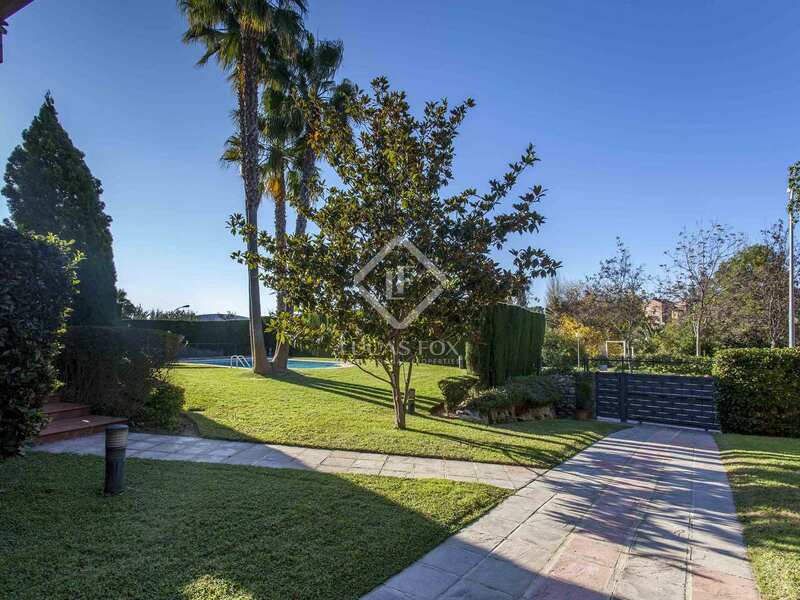 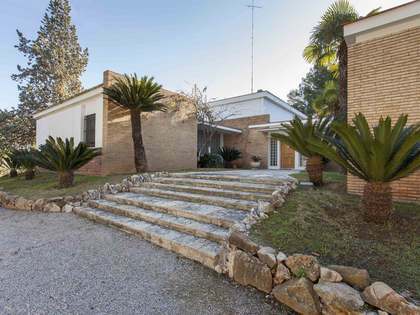 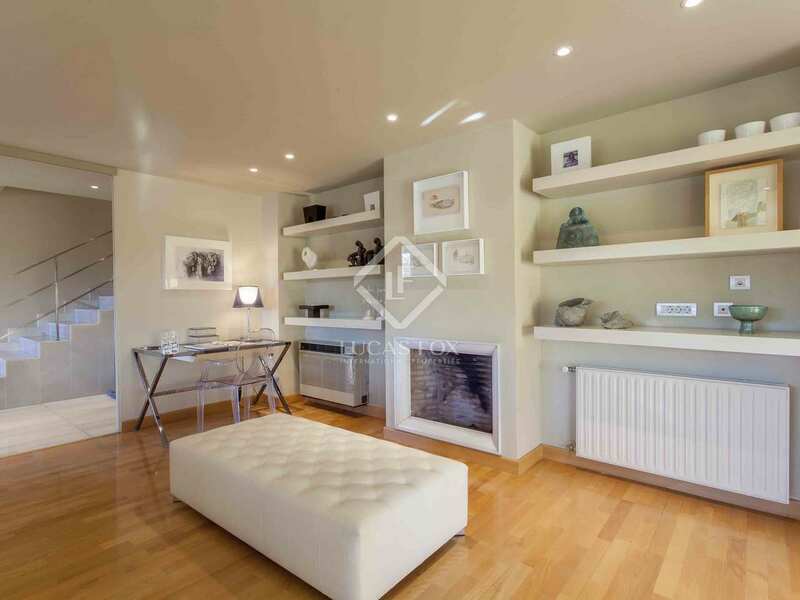 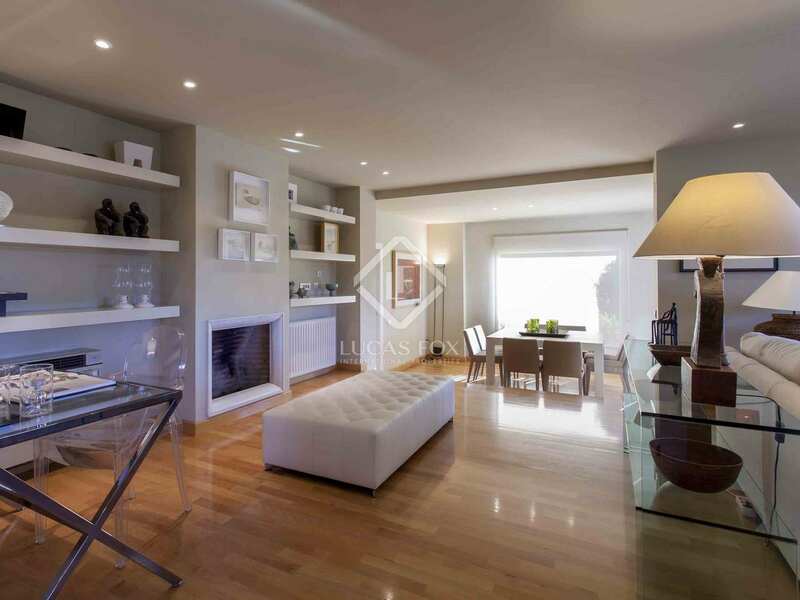 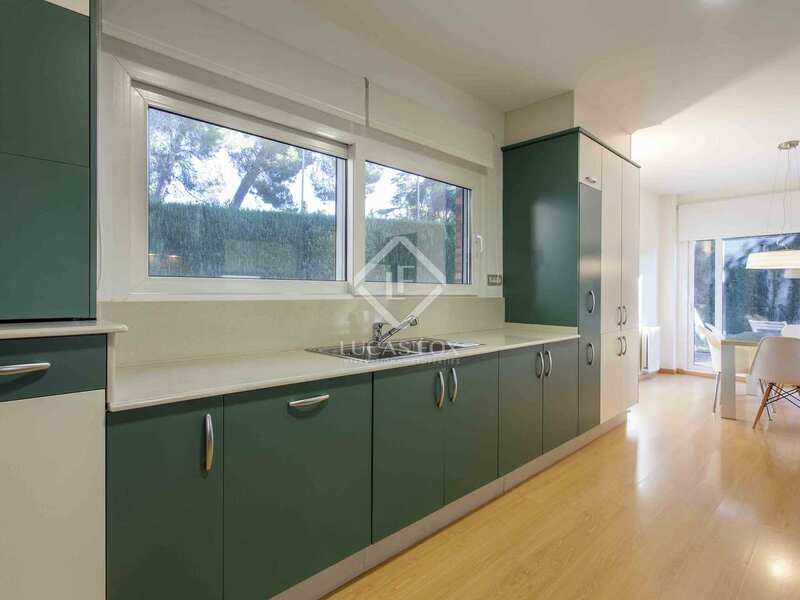 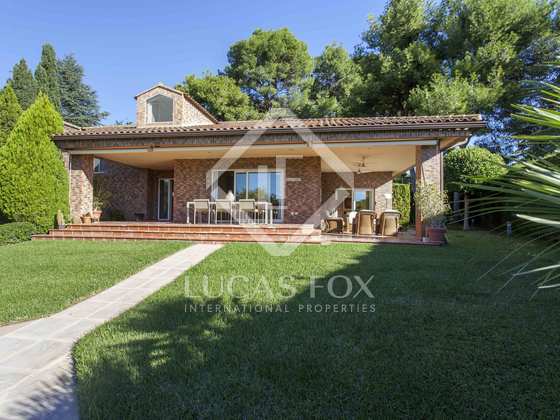 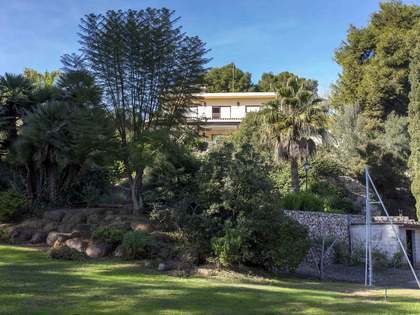 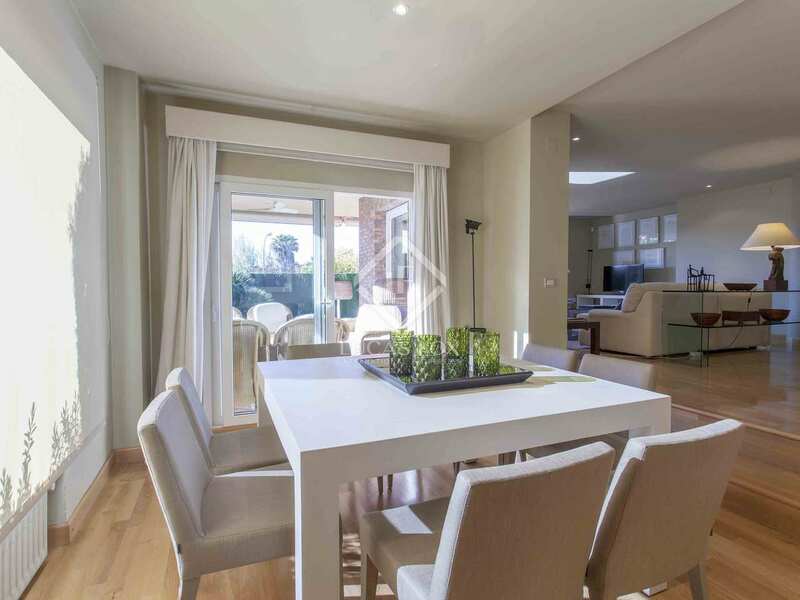 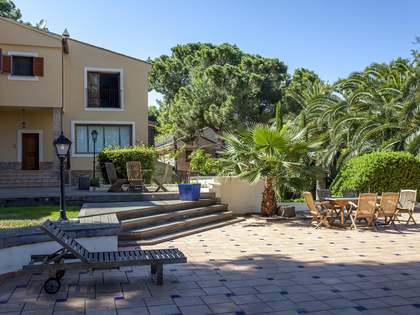 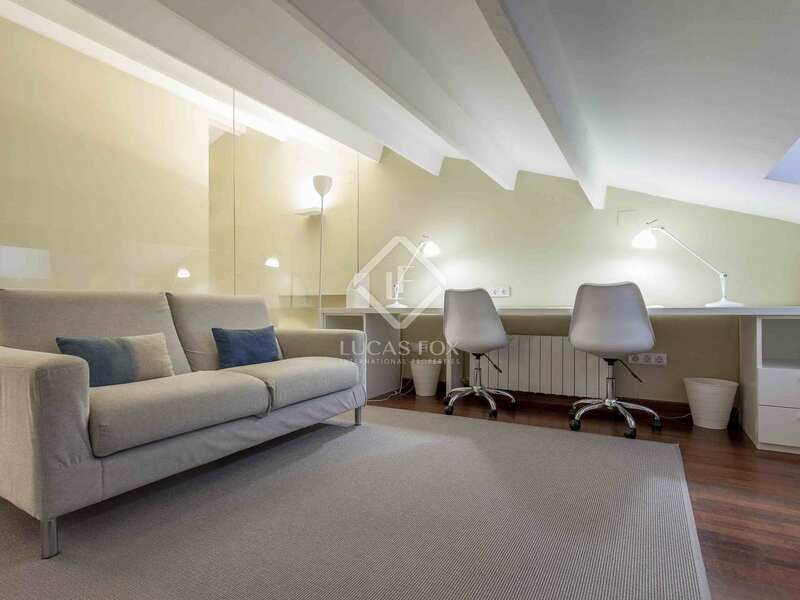 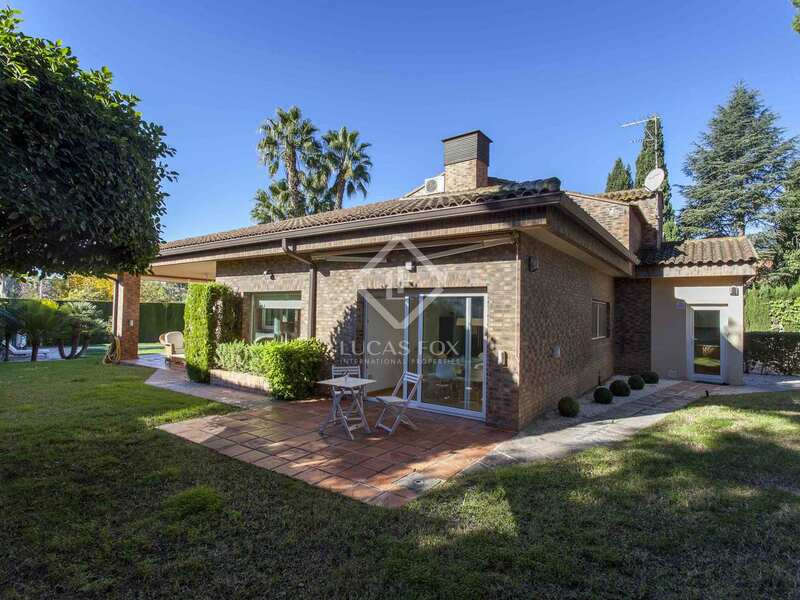 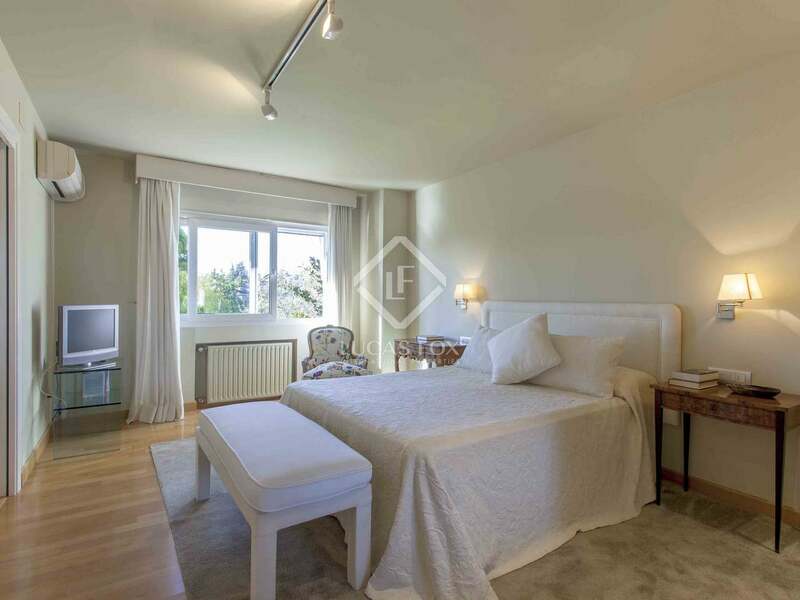 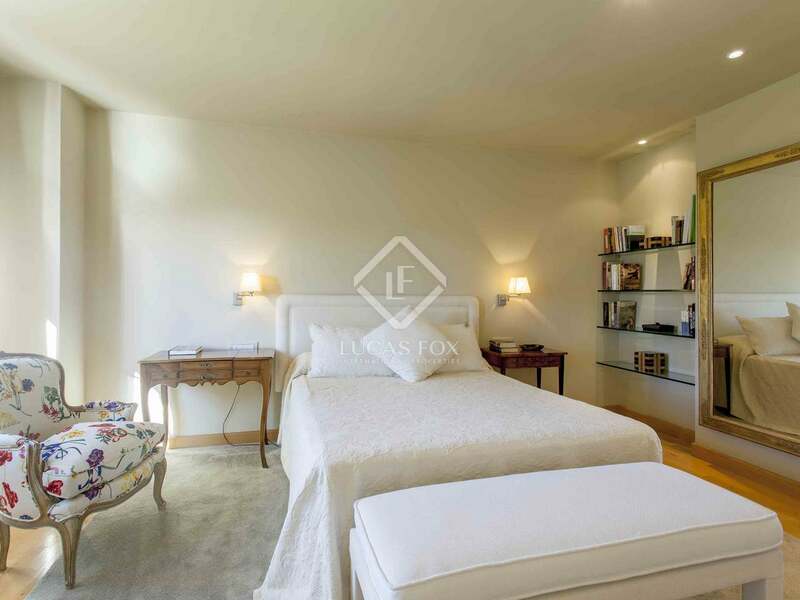 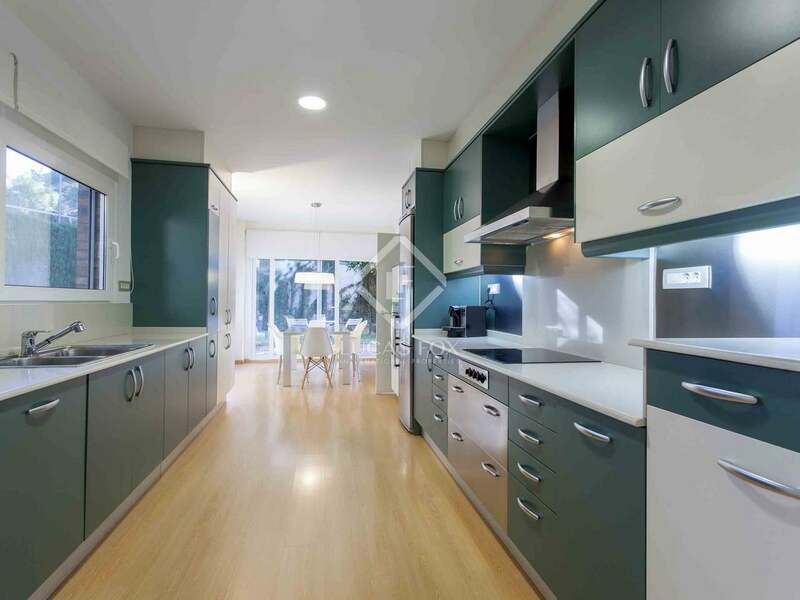 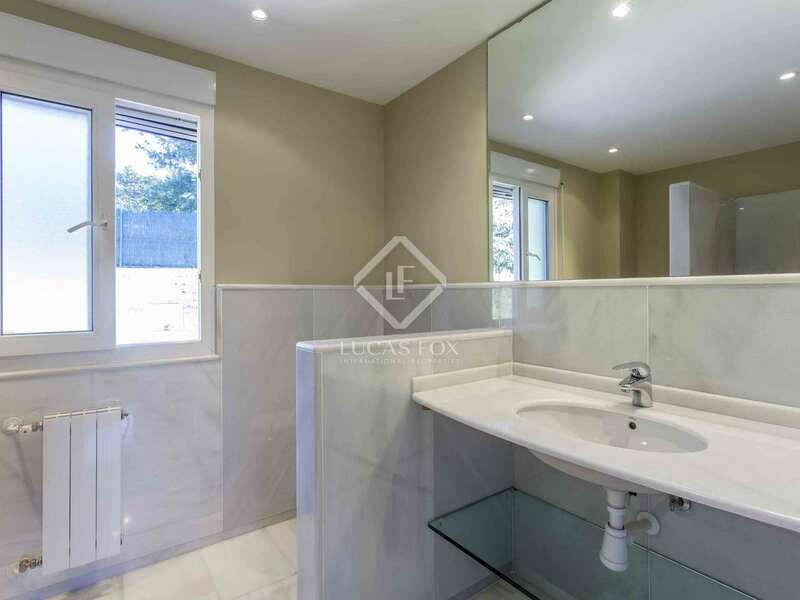 This contemporary style villa is located in one of the most prestigious neighbourhoods of Valencia and has been renovated with high quality materials such as beautiful wooden floors, a complete air conditioning system, large windows and a cozy fireplace. 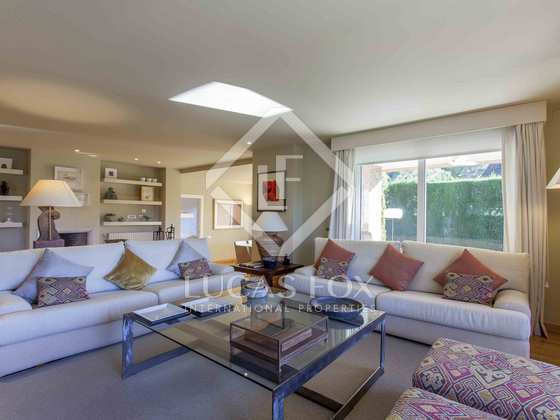 The spaces have been designed to give maximum comfort and practicality and enjoy an exquisite design. 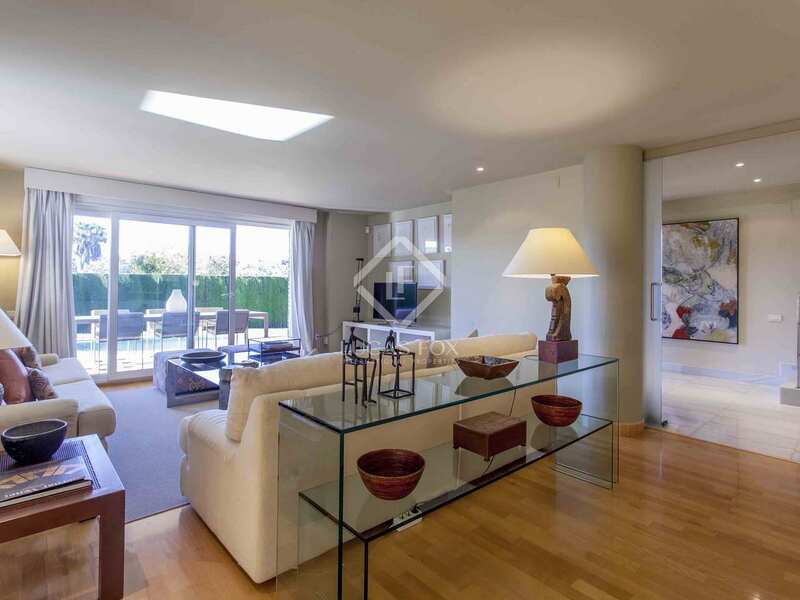 In addition, it enjoys a lot of natural light thanks to its large windows. 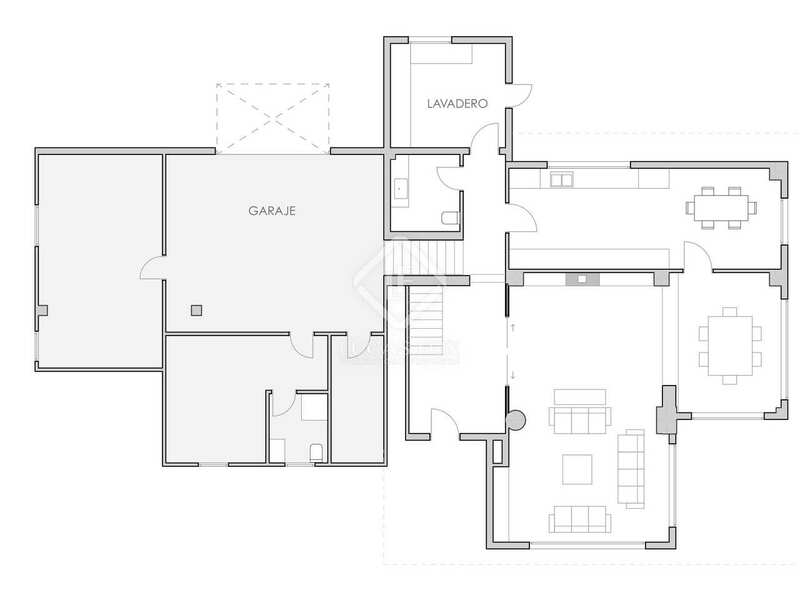 The space is divided into 3 floors separated by a few steps, which makes the house very practical. 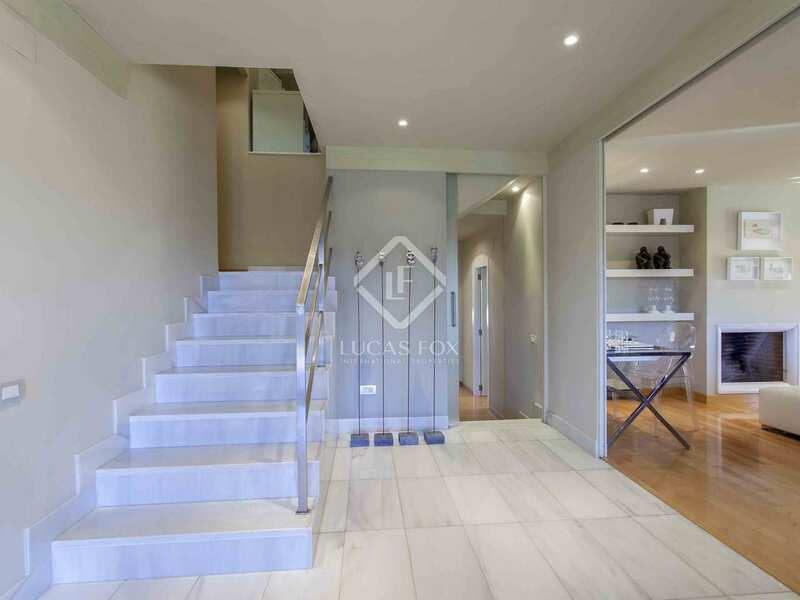 The main floor consists of a large hall that gives access to a spacious living room with a ​​beautiful formal dining room in a separate area. 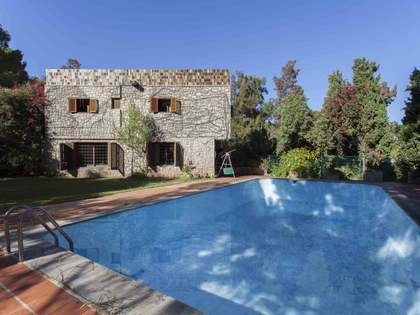 It is a fantastic room with plenty of natural light that enjoys a wonderful panoramic view of the well-kept garden of the house and its beautiful pool. 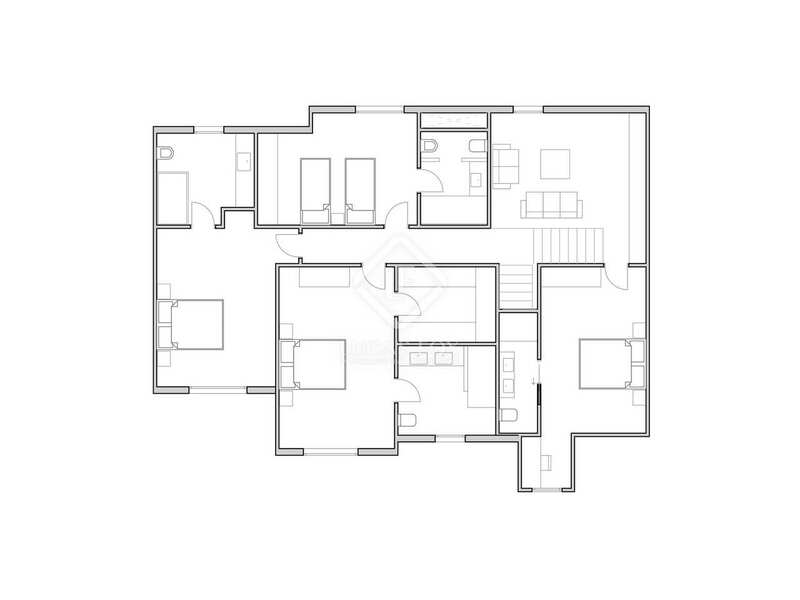 On this same floor, we find a modern guest toilet and a large equipped kitchen with dining area and a practical laundry room. 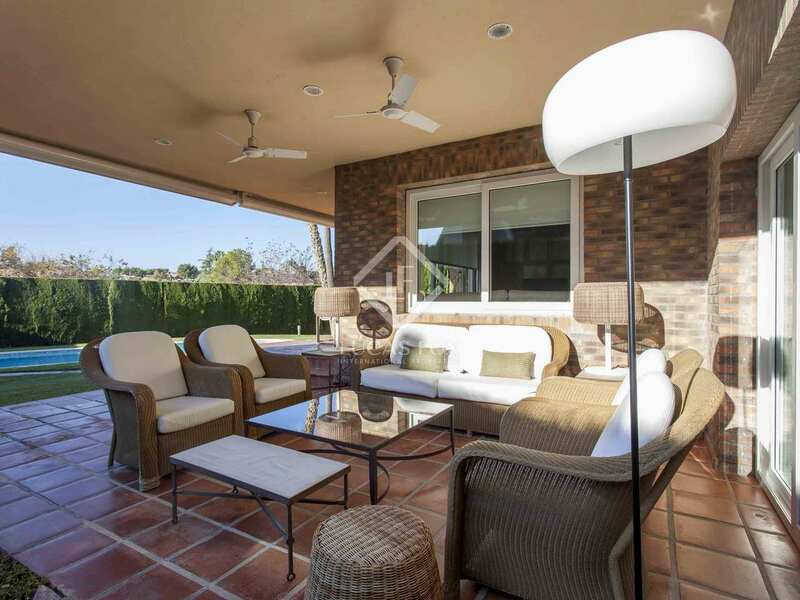 All the rooms enjoy an access to the outside. 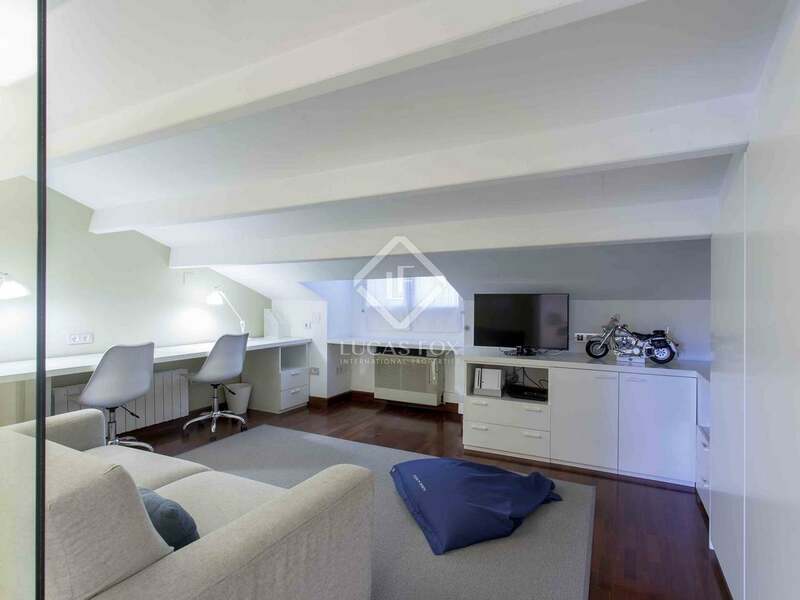 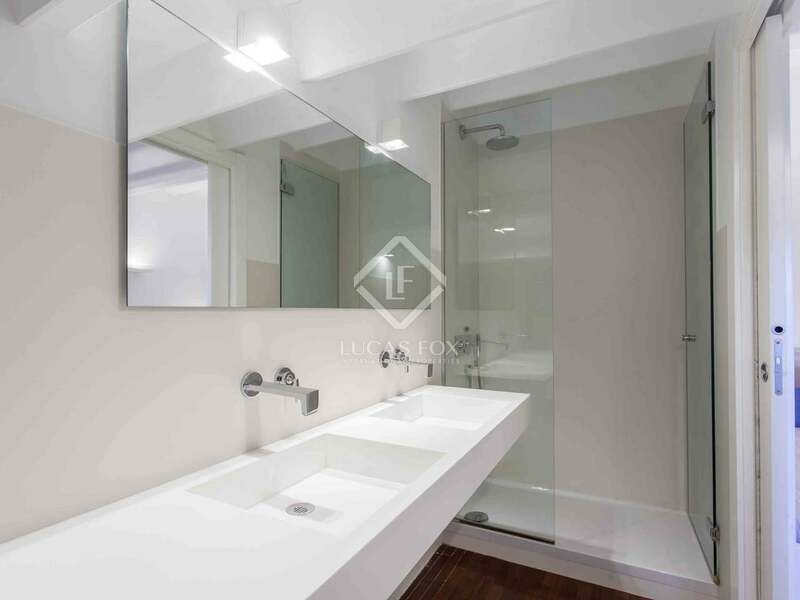 The first floor offers, on the right, an attic area that houses a double bedroom with private bathroom and a practical open space that can be used as an office. 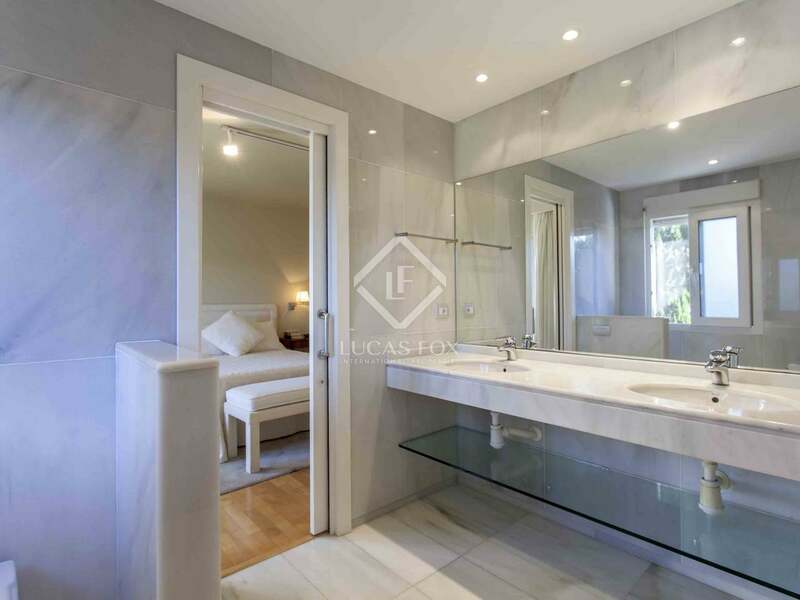 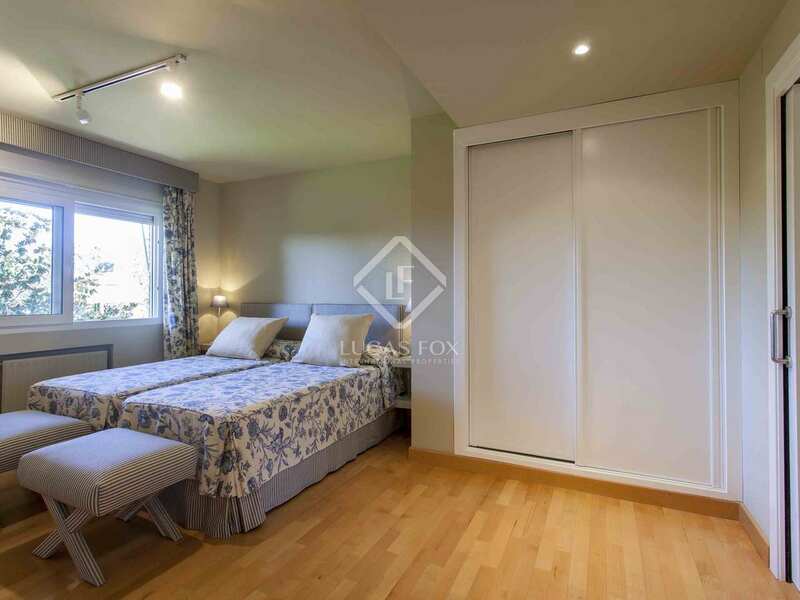 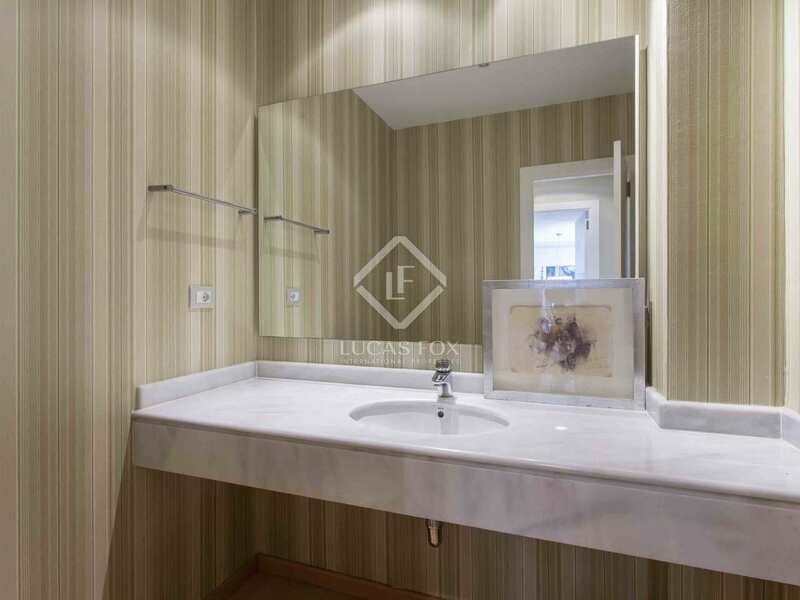 On the left, we find 3 double bedrooms, all of them with private bathrooms, built-in wardrobes and, in addition, the master bedroom enjoys a dressing room. 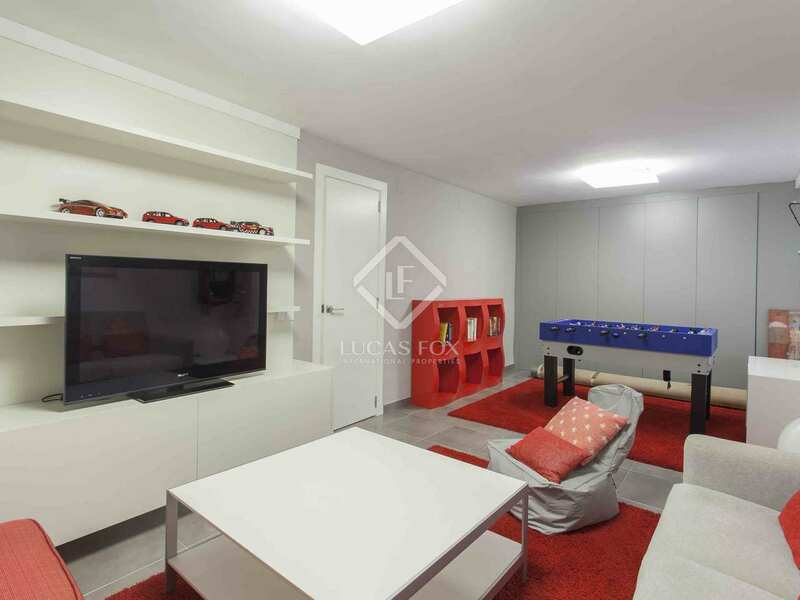 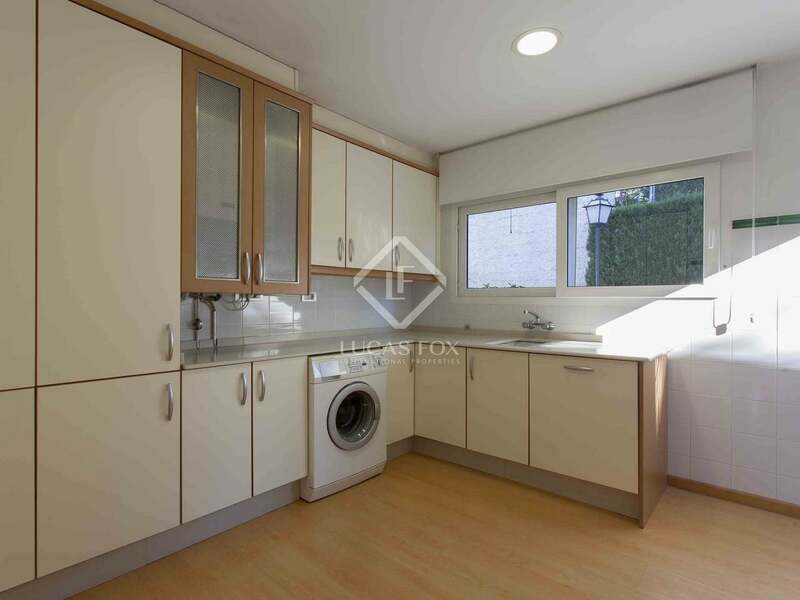 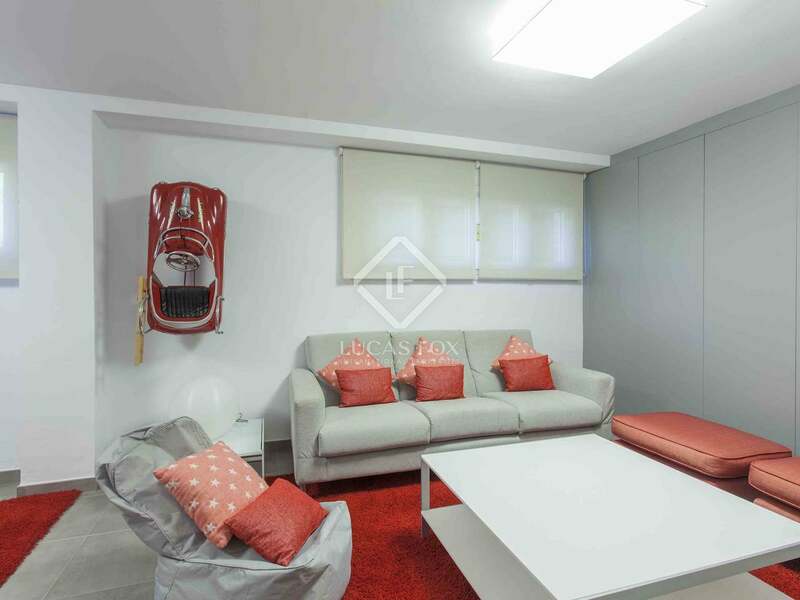 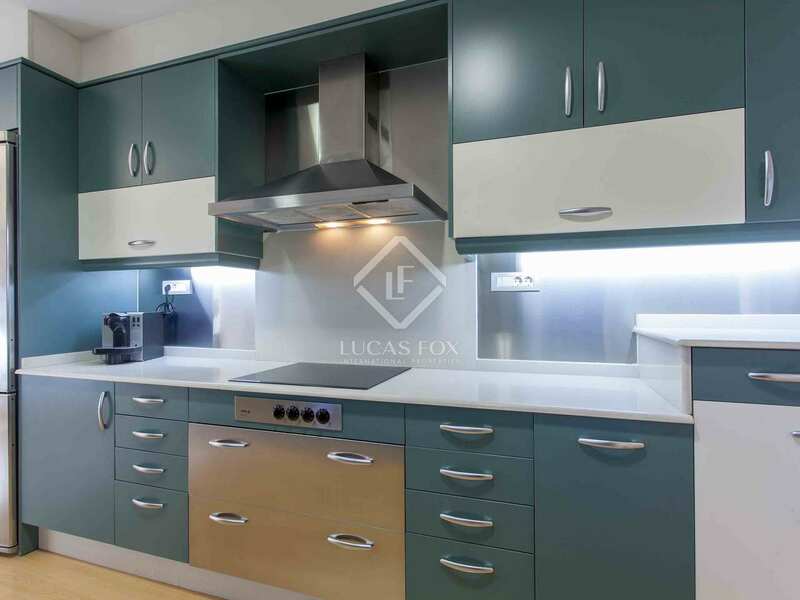 Finally, the lower floor of the house consists of a double garage, a double bedroom with a bathroom and storage area, as well as a multipurpose room, where a children's play area and a home cinema, a workshop or a leisure room could be created. 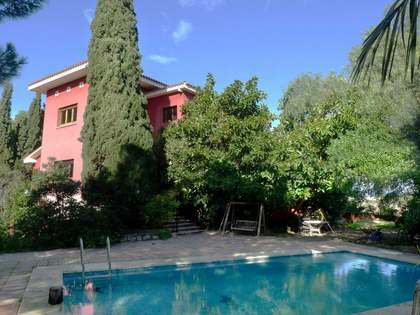 Outside, we find a fantastic pool, a large and well-kept garden and 3 terrace areas to create different settings. 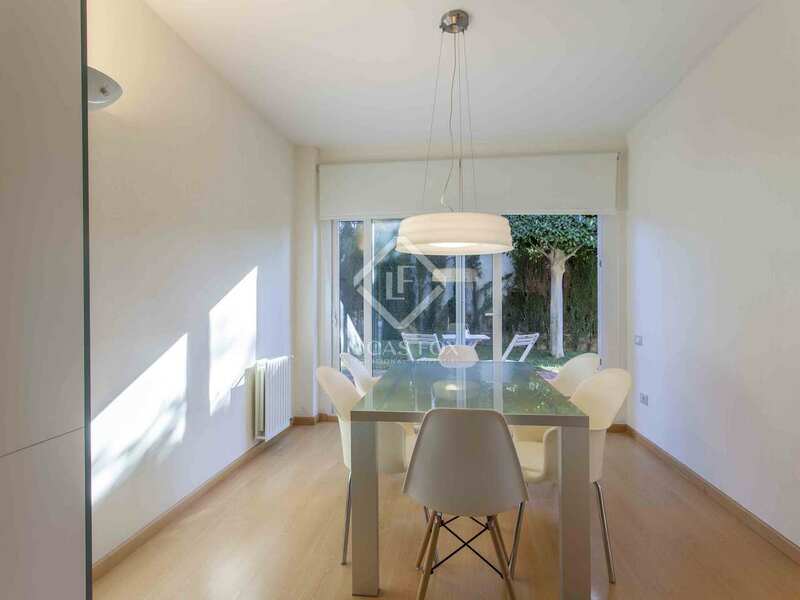 The house has an air conditioning system with hot and cold air ducts, gas radiators and double glazed windows for maximum comfort during the winter months and the hot summer months. 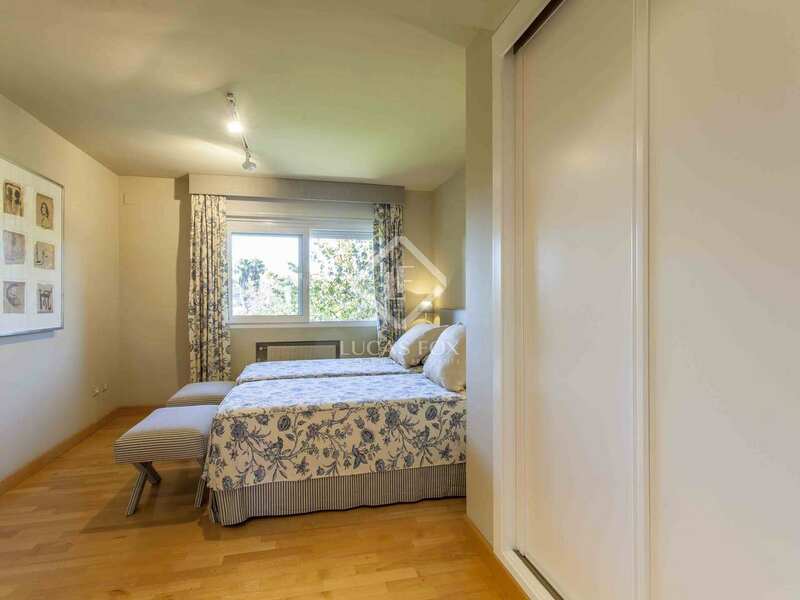 It is also equipped with an alarm system to ensure your safety and that of your loved ones. 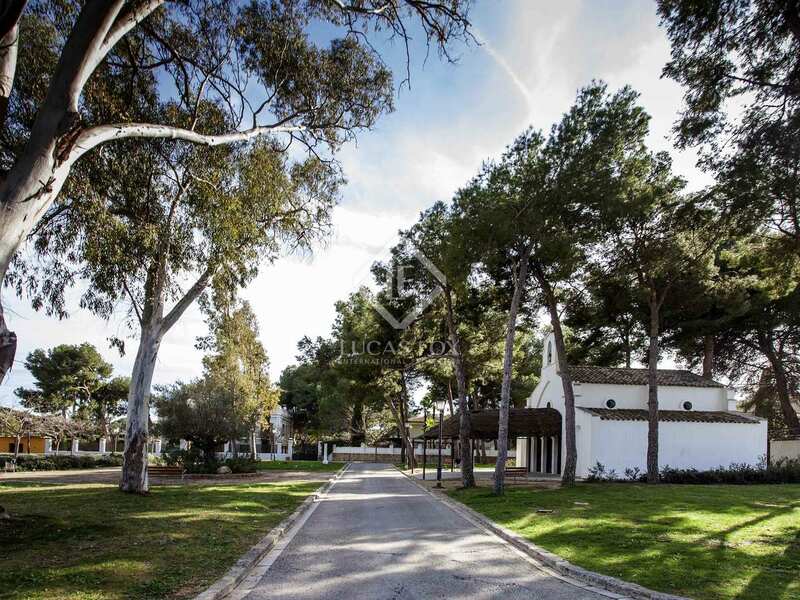 Contact us to visit this fantastic villa in one of the most exclusive residential communities in Valencia. 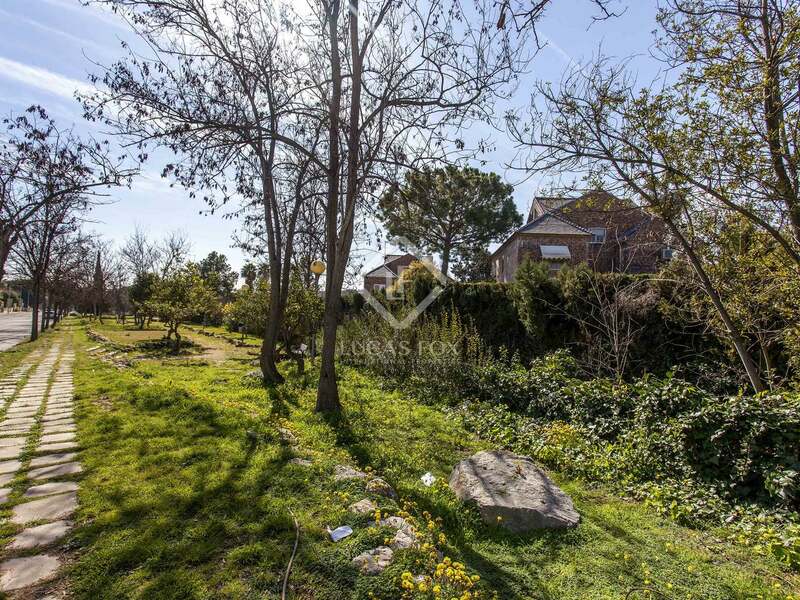 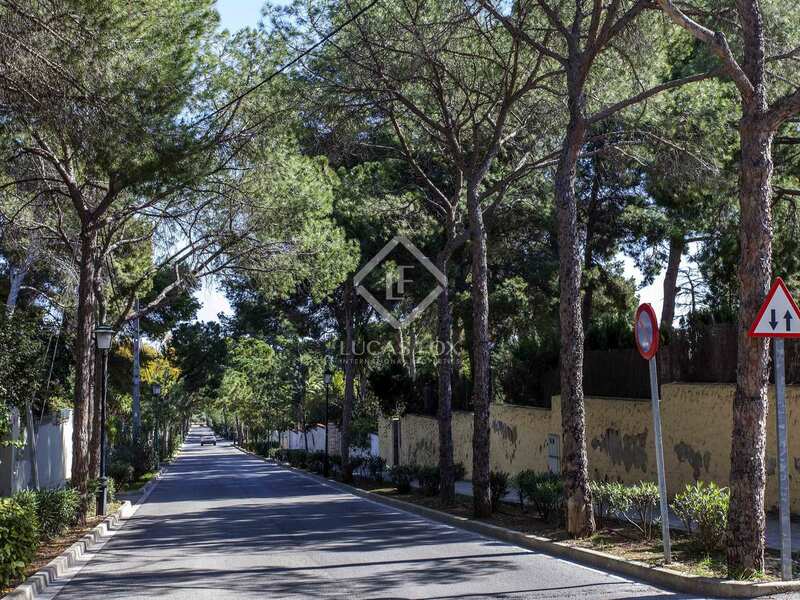 The Campolivar urbanization is one of the most coveted residential areas in Valencia thanks to its proximity to the city, its security and its wide range of services. 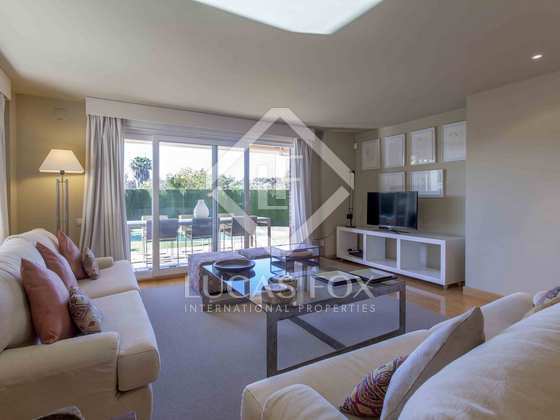 This complex offers everything you may need: good connection with public transport, supermarkets, pharmacy and restaurants. 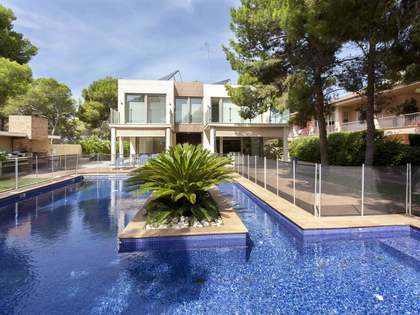 We highlight its famous tennis club and its prestigious international schools, where the little ones can receive the best education.